A tasty and vitamin-packed salad that is also quite filling. 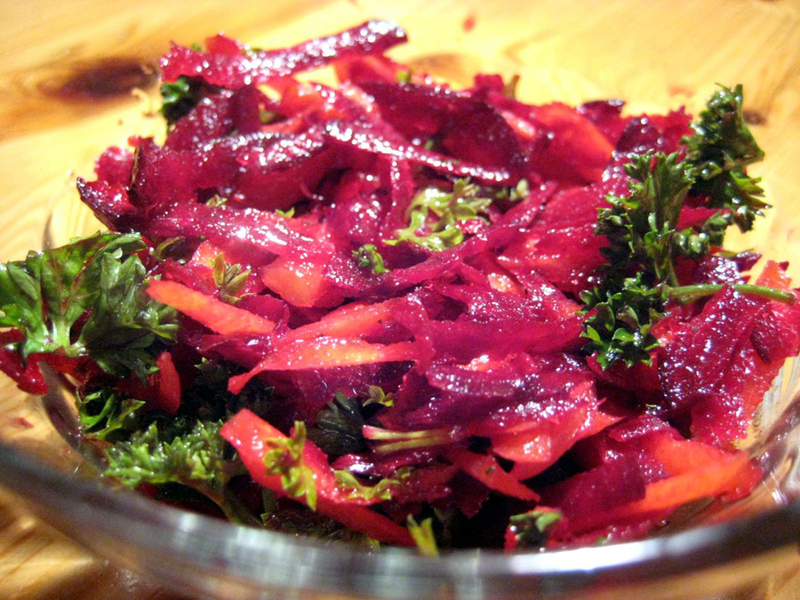 Coarsely grate beet and carrot into a small bowl. Add other ingredients, mix and serve.